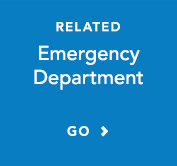 Englewood Hospital is a Primary Stroke Center, designated by The Joint Commission. Using a team approach through all phases of stroke care, from pre-hospital ambulance response through assessment, treatment, and rehabilitation, we take into consideration the special needs of stroke patients and their families. We recognize and support the importance of education for all staff and patients, and we support education for the community in stroke prevention, awareness, and treatment. A stroke occurs when blood flow to a part of the brain stops. 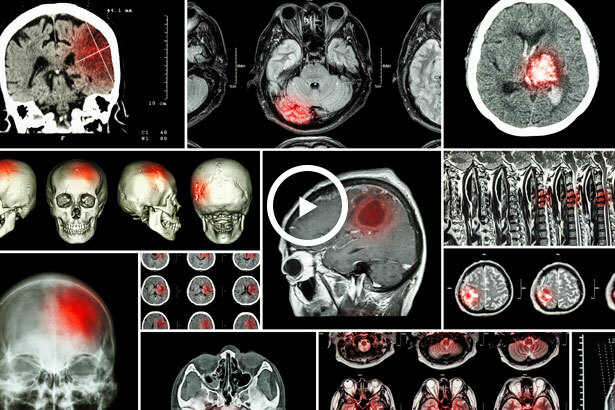 A stroke is sometimes called a “brain attack.” If blood flow is cut off for longer than a few seconds, the brain cannot get nutrients and oxygen. Brain cells can die, causing lasting damage. Stroke is a medical emergency that needs to be treated right away. The acronym F.A.S.T. 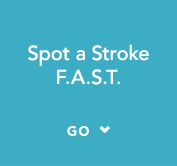 is an easy way to remember signs of stroke and what to do if you think a stroke has occurred. The most important action to take is to immediately call 911 for emergency assistance. Utilice la prueba FAST para reconocer y responder de inmediato. Si usted responde afirmativamente (¡Sí!) a una de estas preguntas, Llame al 9-1-1 y avise que está sufriendo un “STROKE” (pronunciado “ESTROUK”). 당신뿐만 아니라 다른이의 목숨도 구할수 있습니다. TIME (시간) 이런증상이 하나라도 있으시거나, 증상이 사라져도 911로 꼭 연락하세요. Our Stroke Center team is made up of physicians, nurses, and other professionals in neurology and neurosurgery, emergency medicine, critical care, interventional cardiology, emergency medical services, rehabilitation medicine, radiology, laboratory, pharmacy, dietary, and other areas. We work together to provide the highest-quality care for stroke patients, across all stages of stroke care. Our ambulance team is trained to recognize the symptoms of stroke and are prepared to alert the Emergency Department of the imminent arrival by ambulance of a possible stroke patient. 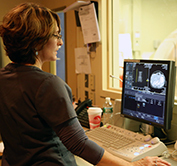 When a stroke patient arrives, our team does an immediate assessment and CT scan, which is located in the Emergency Department’s in-house imaging suite. The brain scan is reviewed by a neurologist, who will then decide the appropriate treatment. After being treated and stabilized, patients are admitted to our stroke unit, where rehabilitation will begin shortly thereafter. Physical, speech, and occupational therapists will work together with patients and families through the recovery process and in planning the transition home or to a rehab facility. Englewood Hospital is a designated Primary Stroke Center, last accredited by The Joint Commission in 2016. 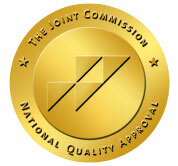 For more information about Primary Stroke Center accreditation, visit The Joint Commission website. An important part of our Stroke Center mission is education for patients, EMS professionals, and the community. All patients with stroke or at high risk for stroke are offered educational materials from the American Heart Association/American Stroke Association in English, Spanish, and Korean. Through participation in health fairs and community events, we educate the public on how to reduce the risk of stroke, how to identify stroke warning signs, and the importance of call 911 immediately when someone is experiencing warning signs. We welcome requests and inquiries from community organizations on how we can work together to raise awareness of stroke. Contact us now. What’s the first thing a person should do if a stroke is suspected? Dr. Hillary Cohen, chief of emergency medicine at Englewood Hospital, advises you call 911 immediately and get to a stroke center as soon as possible. She discusses with NJ Caucus’ Joanna Gagis common signs and symptoms of stroke, in which the brain isn’t getting enough blood, as well as new ways to treat this time-sensitive condition.